Manor Estates Housing Association is about to embark on next stage of its very successful Wall Insulation Programme. Having the benefit of Scottish Government HEEPS ABS funding for owner occupied properties, Manor worked throughout 2016/17 with Mitie Property Services Scotland Ltd. at Telford Road, Edinburgh, and with SERS Energy Solutions (Scotland) Ltd. at Niddrie Mill, making vital improvements to 518 mixed tenure properties. The programme, welcomed by householders, will give increased comfort levels to the properties, reduced carbon emissions and fuel consumption, help alleviate the householder’s vulnerability to fuel poverty as well as improving the overall appearance of estates. Manor Estates Housing Association has successfully agreed a further tranche of Scottish Government HEEPS ABS funding for 48 owner occupied properties at Muirhouse. Welcoming this funding, it provides the opportunity to install energy efficient measures to the flats which would be impossible to improve without the active participation of owner occupiers. SERS Energy Solutions have been appointed through the Scottish Procurement Alliance (SPA) framework and are due to start setting up site at Muirhouse Place East during the autumn. 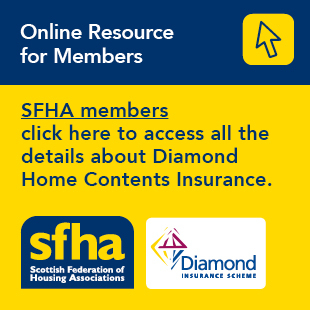 Manor has also successfully gained Scottish Governments HEEPS Loan Scheme funding in a bid to carry out insulation upgrades to 51 ‘no fines’ concrete houses at South Queensferry and Ratho. Manor’s £155,000 expenditure is complimented with the interest free loan funding spreading the remaining £264,000 expenditure over 10 years. This loan advance will allow Manor to insulate and upgrade individual properties, bringing these properties up to EESSH standards ahead of the December 2020 deadline.